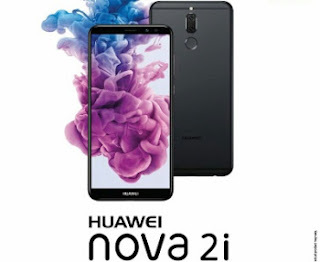 On the recent arrival of the Hauwei Y2 Prime , another awesome smartphone has been released called Huawei Nova 2i this smartphone comes with a Bezel-less display and in addition a double Rear camera. The Huawei Nova 2i comes with a 5.9-inch display screena and runs on Android 7.0 Nougat out of the box with an octa-center 2.3Ghz HiSilicon Kirin 659 processor . It utilizes a 4GB RAM and 64GB Inbuilt memory. checkout more feature below .